IT was a one-two for heifers in the supreme beef championship at the East of England Winter Stock Festival, Peterborough, with the top spot going to Fancy That from Phil and Sharon Sellers, Lincolnshire. The 18-month-old continental-sired champion which weighed in at 626kg is by the Limousin, Heathmount Frenchconnection and was bred by Frank Page. Having been bought by the Sellers in the summer it has since been reserve supreme at both Countryside Live and the English Winter Fair. It went on to sell for £5,500 to Kitson Butchers, North Yorkshire. The judge, Robin Roberts, Anglesey, said his champion was full of meat and very correct and just what the market was looking for being not too big. Standing reserve was the reserve continental, Black Opium, a Limousin-sired heifer from Ben Beckitt, Newark. May-217 and weighing 554kg, it was bought at the Ruthin show potential sale early in the year from breeder, Adrian Williams, and its wins this summer include Lincolnshire Show. The continental steer championship went to Julie and Gordon Sedgewick, Co Durham with Diame, an 18-month-old 708kg steer which was shown by Neil Slack. By the British Blue sire, Tweedale Guinness it was bred by John Smith-Jackson and bought at Leyburn market in March and was a winner at the Great Yorkshire Show. Reserve continental steer was another from Mr Beckitt, Black Jack, by the Limousin, Lodge Hamlet. May 2017-born and weighing in at 694kg, it was bought from Sheila Mason at Skipton’s show potential sale and has been a big winner in the show ring this season. 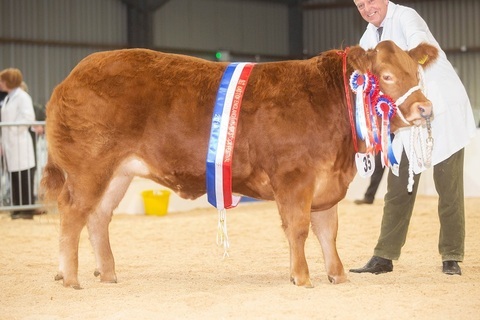 The pure-bred championship went to Harvey Heath, Ashbourne, with Risbury 1 Sonia 2, a March 201-born Hereford heifer. Taking the exhibitor-bred championship were Paul Barwood and Anita Padfield with Flash, an April 217-born Beef Shorthorn-cross. 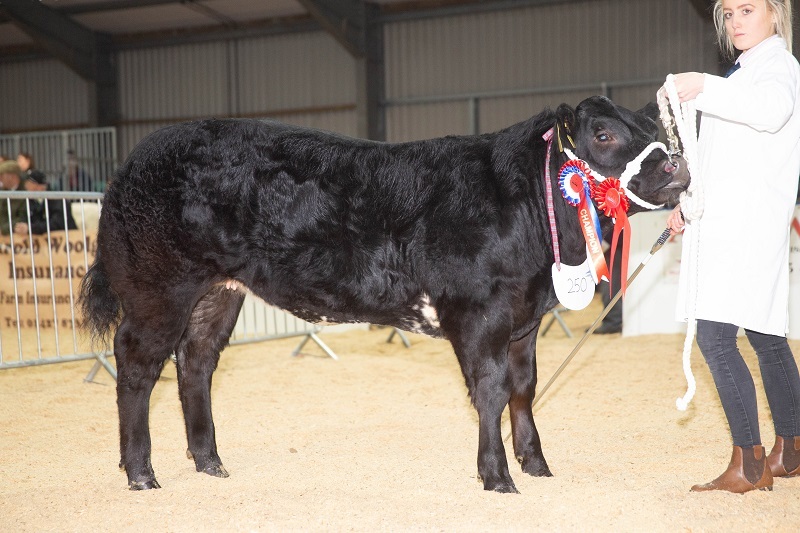 The pedigree calf inter-breed title went to the Simmental champion, Perrywood Jasmine, an April 2018-born heifer by Derrycalaghan Gambler from Judy and Bridget Borlase, Herfordshire, which was also inter-breed champion at the South of England calf show. Reserve was the Lincoln Red champion, Sharlock Extreme, a heifer from Phil and Sharon Sellers. The British Blue team comprising of Bidwelly Nobby from Kevin Ludgate, Leighton Buzzard, Lukeroyal Nina from the Geary family, Milton Keynes, and Barwood and Padfield, Great Yarmouth, with Piggots Nightshade won the Duke of Gloucester Trophy for the group of three. The Simmental team of Cade Justice from Paul Cade, Cambridge, along with Salcombe Iona-Bouquette and Perrywood Jasmine from the Borlases were reserve. The first visit to the event paid off for Alice Harrison, 16, whose father, Andrew, runs 100 commercial suckler cows at Great Asby, near Appleby, when she took the baby beef supreme title with the continental champion, the home-bred heifer, Bootilicious. February 2018-born and weighing 395kg, and by a home-bred Limousin-cross bull, its only previous outing was a AgriExpo where Alice won the Young Handlers championship. 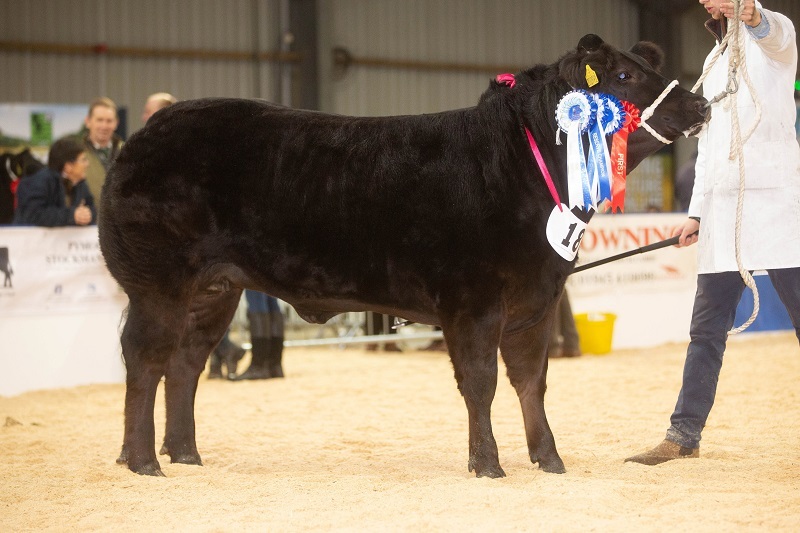 Reserve rosette went to the reserve continental champion, Dancing Queen, a March 2018-born home-bred heifer the Waindale UFO and weighing 340kg from Jennifer Hyslop, Girvan, which had previously been baby beef champion at Countryside Live. In the sheep rings for the second year running the supreme championship went to Robert Garth and Sarah Priestley, North Yorkshire. This time with the cross-bred champions, a pair of home-bred Beltex crosses weighing 42kg apiece. 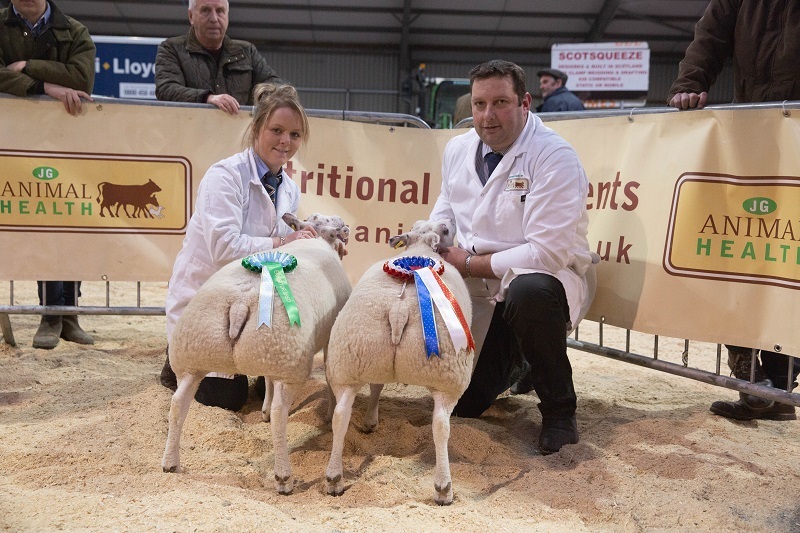 The pair also took the continental pure-bred championship with a pair of Beltex. Reserve supreme went to the reserve cross-bred champions, a pair of Beltex/Charollais from Chris Timm, York. By Ainstable Badger, the pair weighed 87kg. The judge, Steve Gibbons, Powys, said his champions had tremendous shape and were just the right weight for butchers. The breeding ewe lamb championship went to Graham Jackson, Bentham, with a Mule which had been bought privately from breeder, John Lord’s Hewgill flock. Commercial - Supreme and supreme female continental, P. and S. Sellers, Fancy That; res. and res. fem. continental, B. Beckitt, Black Opium; male continental, G. and J.A. Sedgewick, Diame; res. male continental, B. Beckitt, Black Jack. Native-sired steer and sup., exhibitor bred, Barwood and Padfield, Flash (Beef Shorthorn). Native-sired heifer – Sup., W. Timms, Maddy (Galloway. Pure-bred – Sup. and sup. native, H. Heath, Risbury 1 Sonia 2 (Hereford); res. and sup. continental, Geary family, Littlewood Magic Moment (British Blue); res. native, J.R. Williams, Pinguis Henry (Red Poll); res. continental, Mike Dickens and family, Park Hill Narnia (Limousin). Baby beef, Sup., and continental, A. Harrison, Bootylicious; res. and res. continental, J. Hyslop, Dancing Queen; native, Temple Farm, Sassy Cassey (Aberdeen-Angus). Overall - Sup. and sup. cross-bred, R. Garth and S. Priestley (Beltex cross); res. and res. cross-bred, C.D. Timm (Beltex/Charollais). Pure-bred continental – Sup., R. Garth and S. Priestley (Beltex); res. H. Heath (Blue Texel). Pure-bred native – H. Williams (Llandovery White Face); res., P. Kettle (Ryeland). Breeding ewe lamb – G.E. Jackson (Mule); res., R.J. Woolway (Blue Texel/Suffolk). Lamb carcase – A. Geary (Beltex); res., S. Booth (Beltex). Pairs – Modern, sup., K. Arden (Landrace); res., C. Hudson (Landrace); traditional – sup. and res., C. Bull (Berkshire); crossbred – sup., M. Wilson (Pietrain/Saddleback); res., A. and P. Schofield (Large White/Welsh). Single – modern – sup. and res., K. Arden (Landrace); traditional – C. Bull (Berkshire); res., D. Aldous (Oxford and Sandy Black); crossbred – M. Wilson (Pietrain/Saddleback); res., A. and P. Schofield (Large White/Welsh). Inter-breed (A. Robinson, Towcester) Sup., J. and P. Borlase, Perrywood Jasmine (Simmental); res., P. and S. Sellers, Sharlock Extreme (Lincoln Red). Aberdeen-Angus (A. Shufflebotham, Nantwich) Sup., R. and C. Rettie, Retties Pam; res., J. O’Hara, Glenade Elba. Beef Shorthorn (G. Riby, East Yorkshire) Sup., G.H. and M. Towers, Greenley Broadhooks Maria; res., H. Horrell, Podehole Lord. Charolais (G. Robinson, Peterborough) Sup., J. and J. Rix, Wissington Nocturne; res., D. Knox, Drmshane North. Simmental (R. Davies, Northamptonshire) Sup., J. and B. Borlase, Perrywood Jasmine; res., P. Cade, Cade Justice. South Devon (R. Davies) Sup., J.P. Harrison, Brafferton Stella; res., J.P. Harrison, Brafferton Warrior 25. Dexter (M. Oliphant, Lincolnshire) Sup., S. and K. Darnbrook, Planetree Kalliope; res., S. and K. Darnbrook, Planetree Remus. Hereford (A. Shufflebotham) Sup., T. and D. Harrison, Moralee Kylie K5; res. T. and D. Harrison, Moralee 1 Kimberley. Limousin (R. Davies) H.D., P.J. and B.P. Cranfield, Copy Lawn Omley; res., M. Dickens and family, Park Hill Nelson. Lincoln Red (C. Page, East Yorkshire) Sup., P. and S. Sellers, Sharlock Extreme; res., R.J. and G.D. Goodwin, Holyoak Mattie X10. Red Poll (H. Mancey, Stoke On Trent) Sup., A.L. Barratt, Appleton Susan; res., J. Broughton, Nobodys Legacy. Any other breed (R. Davies) Sup., K.W. Ludgate, Bidwell Nobby; res., L. Todd, Torrington Naomi.